When we think of a home gym, most people automatically picture a vast room, full of cardio kit, various weights benches and a lot of bars and plates – the kind of thing you see in the mansions of the rich and famous. The good news is that it doesn’t need to be like that. You can recreate a fantastic training space if you know what to buy. The one thing that we can’t create from thin air is space – you either have it or you don’t. For the purposes of this article, we’re working on the idea that you don’t. With that in mind, we have to pick home exercise options that either don’t take up much space or can be stored quickly and easily. It’s also particularly helpful if the kit we opt for is multi-use, so we don’t have to buy lots of individual items, which would take up even more space. Finally, theres also a budget consideration. 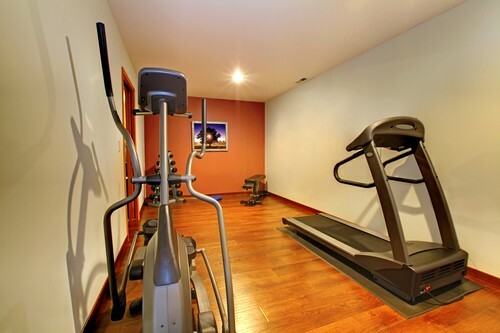 Even if money is no object, it’s a good idea to keep the cost of home gym equipment down. This is perhaps the most important – what are you buying the kit for? If you’re looking to build strength then picking up a treadmill isn’t a good investment. Likewise, a dumbbell set isn’t going to be particularly useful if you are looking to train for a half marathon! Make equipment buying decisions based on the training effect you are looking for as the front and centre. We’ve discussed this one in brief, but it’s worth digging into. If you have some space such as a small room, then buying a single bit of kit that takes up the entire usable area probably isn’t a good move. Instead, multiple smaller bits of kit will provide you with more options, at a lower price point and will be easier to use and store. Just because you have the money, doesn’t mean you should waste it. Taking the time to investigate price points, value for money and overall use of kit is a worthwhile exercise. Typically speaking, cardio kit is the most expensive, so ask if you really need an expensive bit of kit before you buy – there may be cheaper options. These ideas are for a multi-use home set up that will be an effective home gym, but can be easily stored if the room isn’t to kept as a gym the entire time. They can be brought out of storage and set up into a gym in a matter of seconds. They also don’t cost the earth – this entire set up will be less than £300, which means it’s significantly cheaper than an annual gym membership, whilst providing all of the benefits. The kit mix here will provide you with strength training benefits, can be used for Strength training, HIIT, circuit training, bodybuilding style training and stretching. You could also perform yoga and mat-based Pilates with this kit. I’ve purposely left dedicated cardio kit out of the list because you could run or cycle outside, meaning whilst there are ways you can bring these activities inside, it’s not essential. In fact, I’d argue running and cycling are better done outdoors! A kettlebell is a great piece of kit – it’s so versatile, can be used in lots of different workout styles and can provide resistance to a huge range of exercises. With kettlebells, I’d suggest as a man you opt for no lighter than 16kg, because otherwise you’d outgrow it too quickly. 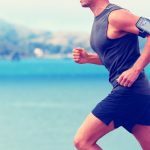 There are all kinds of exercises libraries online to help you with technique and exercise ideas. The other great thing is you can hide it under a bed or in a cupboard and it’ll take up barely any room! Expect to pay around £40. Suspension trainers have taken off in popularity over the last few years thanks to their amazing versatility, ease of use and affordable price. These training tools are so good even gyms will have a few knocking around. Suspension trainers are useful no matter what level of fitness you are at as they can be adjusted to make exercises harder or easier. They come complete with door anchors to make them useable in any room with a door. In most cases there is also an exercise guide in carry bag too, giving you workout ideas. Expect to pay around £40 for a decent suspension trainer. No gym would be complete without a dumbbell and barbell set, so we need to include one here. The key for home gyms is to use a shorter barbell (6ft rather than the usual 7ft) and make sure the weights are easily detachable so the whole thing can be easily stored away. For most home exercisers, you’d need at least 50kg of weight available. Most sets nowadays are pretty good quality, but I’d always stick with rubber or iron plates for home use instead of the cheaper plastic weights. Plastic plates are usually concrete-filled, which can leak dust all over the place if the plastic case breaks. A good weights set will last you for years. The example here is mid-range in terms of price at £169.00 but will still last a very long time. A pull up bar is a useful piece of kit that can provide a challenging workout to even the fittest people around. There are two main types of home pull up bar – one that hangs off the door frame and one that fits inside the door frame, where it is elongated to provide a tight, weight-baring seal on the door frame. For £20 you’ve got various workout options, plenty of grip variety and the best part is it doesn’t have to screw into anything, so you won’t damage your walls during use. A mat is a handy addition for when you’re stretching or doing floor-based work. They make the floor more comfortable and act as a protector against the floor being covered in sweat! At a few quid, it’s a worthwhile investment and it’s versatility makes a lot of floor-based exercise more comfortable. Mats vary in price – you won’t need to break the bank though. A figure of around £15 will buy you a good quality one. By picking up these five items, you’ll build yourself a great home gym and in the long run, save yourself a lot of money. All of the kit here ticks our box of being small enough to store easily, so any room where you exercise can be quickly turned back into a room with another use. Don’t let limited space hold you back – with a little investment of money and a few wise picks, you can build yourself a fantastic home gym!